Skydiving involves jumping from a small plane and free falling a hundred meters from the earth and then using a parachute to land safely on the ground. In Iceland, there is (as far as I know) only one professional skydiving operator, Skydive. The company offers skydiving courses and parachute jumps, one or both. The aircraft used is a Cessna 206, but on some occasions, it is possible to jump from a DC-3 or a helicopter. 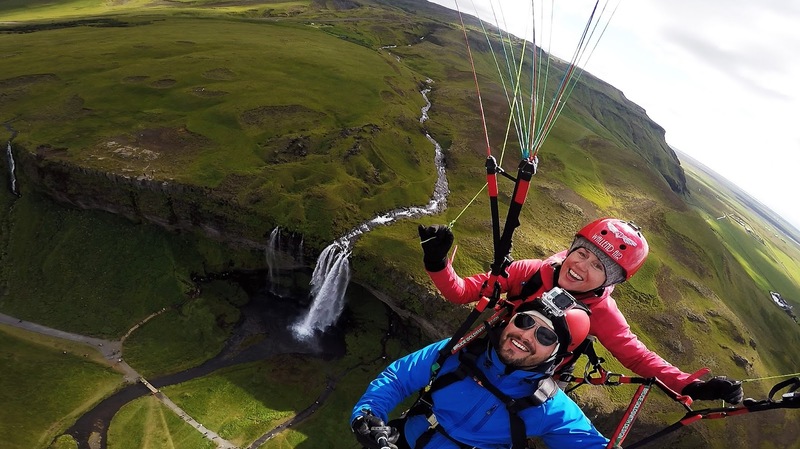 The agency Skydive operates from the small town Hella, South Iceland, just over an hour drive from the Icelandic capital, Reykjavik. It is possible to go skydiving from April to September when days are long and bright; opportunities are numerous. I find paragliding a little less scary than skydiving and a very nice way to experience Iceland ... otherwise, you can go paragliding independently if you have experience, while remaining vigilant (especially of other flying machines and adverse weather conditions), or you can go through companies that specialize in paragliding. In Iceland there are no rules for this activity, you can fly and land where ever you wish. Agencies that offer paragliding tours advise people to go gliding around June 21st when the sun never sets, and there are even organized flights at midnight! Flights tandem or solo are available. Mountains, glaciers, and volcanoes, cover more than half of Iceland making it the ideal location for mountain biking! The interior of the country is inaccessible in winter, in the summer time, it's a desert of black sand and lava fields. Lots of companies offer all-terrain bike tours taking you between mountains and marvelous landscapes. 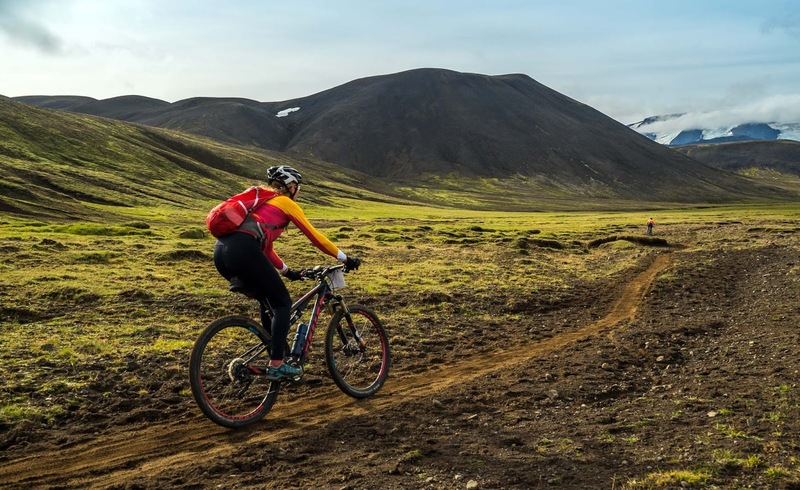 One activity that seems most attractive to those who love cycling is called "Glacier 360"; this is a tour of 290 km around the Langjokull glacier. 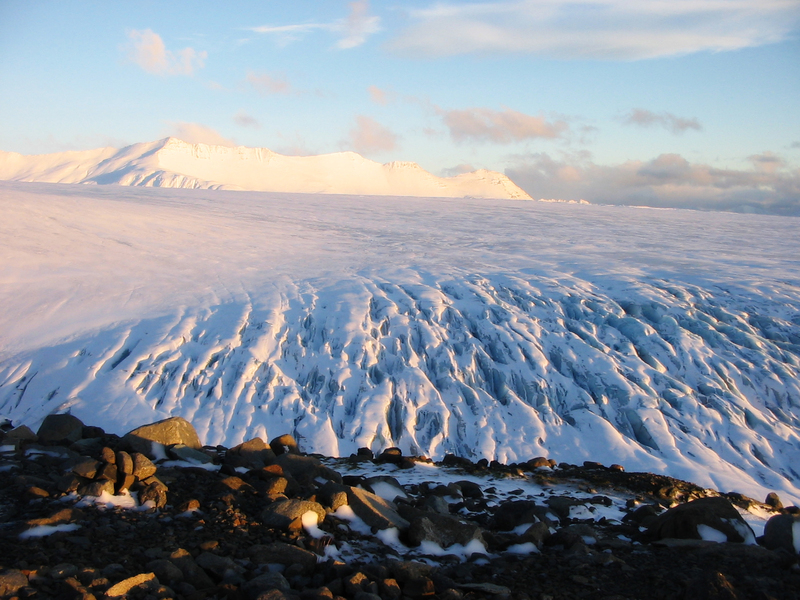 Vatnajökull is the largest glacier of the several glaciers scattered around Iceland, as well as many hills and mountains, creating an ideal playground for those who love to explore the Icelandic wilderness by snowmobile. The excursions are numerous and greatly vary depending on the company and weather conditions. The groups large or small, journey times vary in length. Well, you can get information about what excursions suits you best. 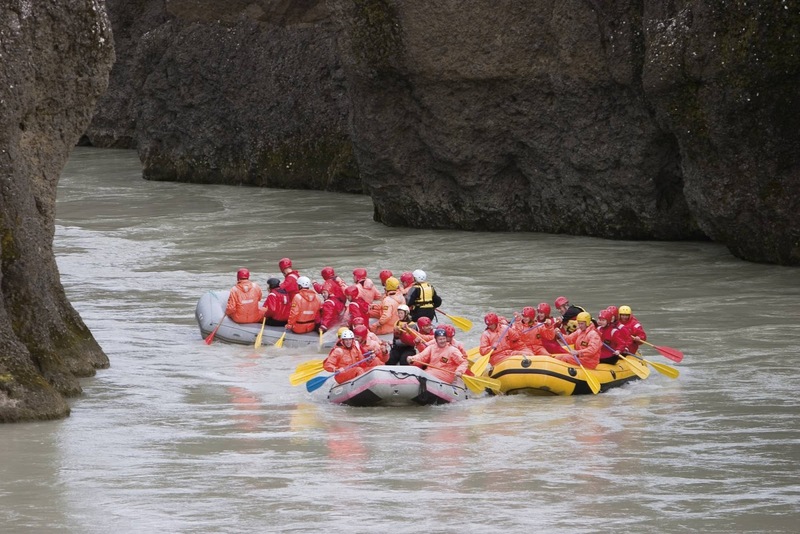 In Iceland, it is possible to go rafting on the Hvita River in southern Iceland, and on the Jökulsá river in the north. The guides (who often come from Nepal, because it 's hard to find rafting specialists from Iceland) take you on the icy rivers of Iceland where adventure is guaranteed! Rafting is a fun activity for the whole family, and you don't need to be an expert to join a tour!